Spandau Ballet’s Martin Kemp today described his ‘terrifying’ battle with two brain tumours. The 47-year-old guitarist and former EastEnders actor, who has now been given the all clear, first discovered he had a tumour in 1995. 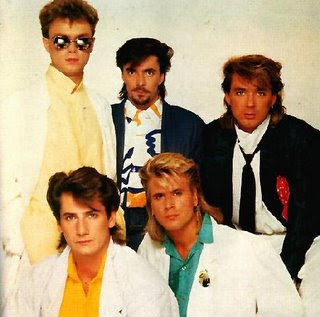 He starts a world reunion tour with the Eighties pop giants, including brother Gary, next month. Today, as he opened a cancer unit at the London hospital that saved his life, Kemp said: ‘The first tumour was the size of a squashed grapefruit and doctors could cut my skull to get to it. I was at there concert. It was at the Moore Theatre in Seattle btw.